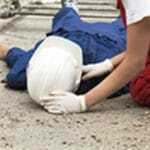 If you have been seriously injured, you may be wondering how to get compensation. There are many factors that will impact the amount of compensation you get, but the only way you can make sure that you are compensated fairly is to hire a Buffalo personal injury attorney. Sometimes I’m asked if there is an amount of bills in New York State that you have to accumulate in order to prove your claim for injury in New York. The answer really is no. It goes more to the quality, not the quantity of those bills. Oftentimes because of the cost of medical services, the insurance adjusters can get some idea of the extent of your treatment and injuries based upon the amount of the bills. For example, some physical therapy visits can be $50, but an MRI is $850. An adjuster will look at the total spent sometimes on your medical billing to determine if the treatment was extensive. There is no amount that is a minimum that you must get to prove your claim. In any personal injury case, a plaint is entitled to recover for all injuries that they sustained as a result of the accident. Included in those injuries are emotional injuries. Emotional injuries can come about in a number of ways. Initially we look to see if there has been any treatment for emotional injuries by an MSW, a psychologist, or a psychiatrist. However, even in the absence of that type of treatment, there is a component part of damages called loss of enjoyment of life. A loss of enjoyment of life includes the emotional part of an injury that comes about from an inability to be able to do things that you otherwise used to do before the accident happened. In order to win – and when I say when I mean providing my client with a number that is either at or above where we believe the case is worth – it’s necessary for us to take those initial offers, counter those offers with a demand that is significant enough that it offers us the ability to bring that insurance company to a number that is appropriate for the case. It’s only after those negotiations – sometimes intense negotiations – that we’re able to get to a number that is proper for the injuries sustained in that case. Please call our office today to get a free consultation with one of our experienced Buffalo personal injury attorneys.